Heian Neneko House is a traditional small Machiya townhouse near Philosopher's Walk. It has been lovingly restored in the traditional Japanese style and furnished with modern amenities like air-conditioning, western toilet and modern kitchen. The location of the house is very convenient with many restaurants, cafes, super market, convenience stores, post office, ATMs, Bank, train/bus stations etc within just a short walking distance while offering a quietly relaxing atmosphere in a very traditional surroundings. There are also many temples/ shrines, and museums around the house. The highlights of Kyoto; Philosopher's Walk, Heian Jinju shrine, Kyoto Museum, Nanzenji, Kodaiji Temples, Gion, Maruyama Park and many more are an easy stroll from Heian Neneko house. The downtown shopping area (Kawaramachi) and Kamo River are also just a 10-15 minute walk away. Nearby is easy access to Kyoto city bus and taxis. there is a western style living room, and long narrow ‘eel bed’ kitchen. The kitchen has a refrigerator, microwave, kettle, toaster, rice cooker and is perfect for preparing breakfast. Two High ceiling-ed Japanese-style tatami mat bedrooms sleeps up to 4 people with comfortable Japanese futon bedding , and of course all room are heated / air conditioned. We also provide towels, lines, soap/ shampoo, a hairdryer and iron. -Introduce tour guide (English, French) etc. In order to keep your reservation, a reservation deposit of 10,000YEN is required. Outstanding payment can be paid with Paypal (credit cards) or with Cash when you arrive. It's great location makes up for its small size. It is amazing place for a one or two week stay in Kyoto. 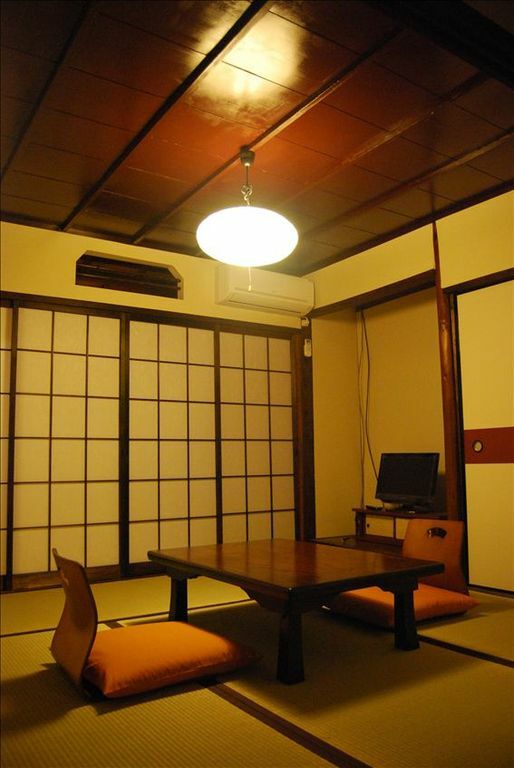 Come and stay in our lovely Machiya house in total privacy and experience the real Kyoto! We spent 3 nights at Nobu’s home and it was fabulous. The house is on a quiet side street. There is a grocery store nearby with a lot of options. There are also several bus stops within a 2 minute walk and a subway station a little further down the road (about 8-10 minutes walk). The house itself is charming and has everything you could need. The futon beds are comfortable if a little firm, but better than most. We did a little bit of cooking (just using toaster over and microwave) and it went well. There were 3 adults in our group staying here and we loved it. Wonderful--would definitely stay here again! Nobu's Neneko House near the Handicraft Center was just perfect for our family of four--2 adults and 2 teenagers. Inside the house, we lacked nothing--everything was there--even a washing machine!--and all was immaculate. The AC and WiFi worked perfectly. We didn't cook, but everything was provided should you want to prepare your meals there. Everything was as described; we were impressed. Location: great location! within walking distance of bus stops, train station, delicious restaurants, convenience stores, grocery stores, and famous Kyoto sites, such as the Heian shrine. Very easy to get a taxi from that location as well. Nobu: Nobu was great! Initial email communication was flawless. He then met us at Neneko House to orient us--he was thorough and friendly and answered all of our questions. He gave us a map and pointed out key places such as grocery stores, bus stops, restaurants, etc. In summary, we had a beautiful stay at Neneko House in Kyoto, and we would most definitely stay here again on our next visit to Kyoto. Thank you, Nobu, for your hospitality and wonderful machiya! Charming and convenient Japanese style house. We (couple + adult son) stayed at Neneko House in Kyoto for a week in August 2012. This is a Japanese style house. There are 2 living/sleeping rooms with tatami mats and a Japanese style table, a dining room with western-style table and chairs, a narrow but well equipped kitchen, a separate bathroom and toilet and a little garden. Everything was very clean. The house is next to the Handicraft Centre, which is a great place to buy quality souvenirs. We found the house to be very comfortable, convenient and well-equipped and Nobu was very friendly and helpful. He has spent a year in Australia so his English is good. When we first arrived, Nobu met us and asked us to complete a simple lease form then showed us where everything is – washing machine, 2 air conditioners, microwave, toaster, hotplate, electric urn, towels, TV etc. The weather was really hot so the air conditioners were very welcome! Wireless internet was available and worked perfectly every time. He also told us how to get to the nearby bus stop. Neneko House is convenient for 2 major bus routes to the central station and many tourist sites eg Nijo Castle, Golden Pavilion. Buses are 220 Y per journey and frequent. It was a short walk to some other excellent temples in the north-west of Kyoto, and the Philosopher’s Walk. As well as being close to many Buddhist temples and shrines, we found a lovely Anglican Church just down the road. The house is on a walkway so there is no normal traffic noise and the neighbours were very quiet, but the first night we heard many emergency vehicle sirens. There is a hospital nearby so there may have been an incident somewhere, as we did not have this problem on any other night. There are 2 supermarkets very close to Neneko House, where we were able to buy everything we needed. There are also many places to eat – Nobu provided us with a list and map of these, including the price range. The restaurants and supermarket were not expensive so we didn’t end up cooking at all (we were on holiday!) but if anyone wanted to they could. There is also a post office close by. Japanese Banks and most ATM’s do not accept foreign bank cards, but the ATM’s at Post Offices and 7 Eleven shops do. We can thoroughly recommend Neneko House as a great place to stay in Kyoto. Thanks Nobu! Myself and a work colleague stayed here for 4 nights and enjoyed it immensely. It's very well located, which was crucial for us as we spent most of our time out and about. The neighbourhood is great - with some excellent places to eat. Nobu, the owner, is an excellent host. His English is first rate (our Japanese is terrible!) and so communication etc was easy. He went out of his way to book restaurants for us and answer our questions. The house also comes with great information including local restaurants. Despite being a traditional Machiya the house had everything we needed. It was spotlessly clean and while small (this is Japan) was large enough to sleep us both separately in comfort. Could not be better! Really. Very nice and traditional house/appartement fully equipped with everything one may need during the stay (the only thing we found missing was european plug adapter which we bought at the Bic Camera store near Kyoto station). The tatami rooms are wonderful. A number of bus stops on various lines are just a few minutes walk from the house which makes access to all major sights around Kyoto really easy. Some of the places of interest can also be accessed on foot such as "the pilosopher's path" or Heian Jingu which is very close or Kyoto Budo Center located virtually across the street from the house. Many thanks to Nobu-san for help and advice during our stay! 30 Seconds Walk from Kyoto Handi Craft Center. Room fee is calculated according to the number of guests. 2 people... 13,000/night; 3 people... 16,000/night; 4 people... 18,000/night; *minimum staying of 2 nights. *rates include tax, lighting and heating expenses. *Payment in Japanese Yen by PayPal, international wire transfer.